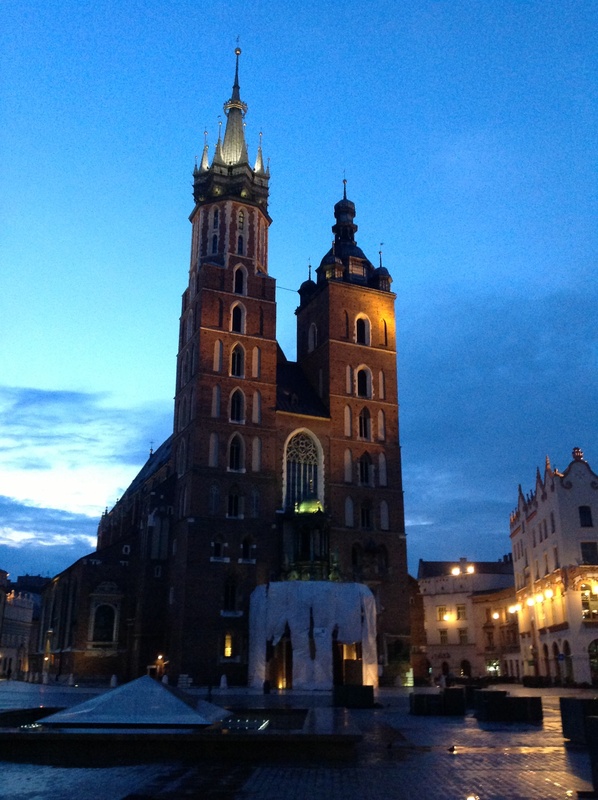 Shot of the Day – St Mary’s Church, Krakow | Aren't We All Just Tourists Here? Church of Our Lady Assumed into Heaven , also known as St. Mary’s Church, is a prominent feature of the Old Town Square in Krakow, Poland. It sits opposite the Cloth hall and stands about 80 meters tall. This entry was posted in Photography, Travel and tagged Cathedral, Cloth Hall, Kraków, market square, Poland, St. Mary's by Steven. Bookmark the permalink.